Dominica Citizenship Program a Vital Government Revenue Stream - Canada Immigration and Visa Information. Canadian Immigration Services and Free Online Evaluation. Dominica’s citizenship-by-investment program has developed into a key source of revenue for a country still recovering from a storm that wiped out the majority of its GDP, according to officials. Key figures from within the government say they have learned from their own mistakes – and those of neighbouring Caribbean islands – to put together a program with the right balance between strong due diligence and a significant flow of investment. Tropical Storm Erika destroyed 90 per cent of the country’s GDP in August 2015, after which investment immigration became a ‘lifeline’, according to Vince Henderson, Dominica’s United Nations permanent representative. Investor, spouse, two children under 18: $200,000. Third child onwards: $50,000 each. * Separate application required for family members over 18. Henderson says the program is now a major source of revenue and generates the majority share of Dominica’s foreign direct investment. Projects funded by the program include luxury hotels under the Kempinski and Hilton brands, with two more high-profile developments in the pipeline. However, the focus remains on getting the right kind of investors instead of giving just anyone a passport. 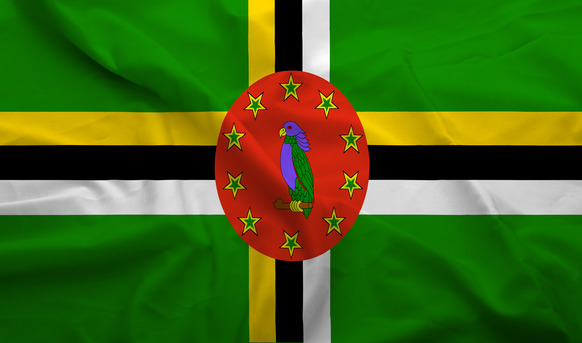 Dominica now works with approved agents to find the right investors for their projects. The officials say this adds another level of due diligence, because the investors have already been vetted before they are presented to the government. They also pointed out that when due diligence is strong, it makes the wrong type of candidates less likely to apply, because they know they will get rejected in the vetting process. And agents are aware they will be taken off the approved list if they present unsuitable candidates too often. All of these are lessons learned from the Layou River Hotel project, from the early days of the Dominica investment program. It began in the 1990s and was delayed well into the 2000s, before eventually being cancelled. Now the officials are certain such a debacle will not be allowed to happen again. The program received a major boost when Dominican citizens were recently given access to the Schengen zone of Europe. Not only does this attract more investors, but it also gives a clear indication of the growing integrity of the program. The officials point to development plans put in place in the 1970s that are finally getting the funding to be given the go ahead. Small businesses and Dominica’s employment program have been key beneficiaries of the capital created.